Davis & Whitlock, P.C., a nationally-recognized environmental law firm, is excited to announce the addition of attorney Douglas A. (“Doug”) Ruley to the firm in an of counsel capacity. Doug opened the Asheville office of the Southern Environmental Law Center (“SELC”) in 1999. While at SELC, Doug litigated cases involving the forests and biodiversity of the Appalachians, air and water pollution, transportation, and land use, until he received a Fulbright Fellowship to Europe in 2010. From 2012 through 2015, Doug taught at Vermont Law School and was the Director of the law school’s Environmental and Natural Resources Law Clinic. Doug graduated from Harvard Law School and UNC-Chapel Hill, and is happy to return to Asheville and join Davis & Whitlock’s environmental mass torts and public interest environmental law practice. Davis & Whitlock, P.C., together with the Friedman Dazzio firm of Birmingham and three Knoxville and Maryville-based firms, has filed a class action in the U.S. District Court in Knoxville on behalf of people who were evacuated during the CSX train derailment in Maryville, Tennessee, on July 2-3, 2015. The resulting fire and burning of acrylonitrile, a highly toxic and flammable liquid, forced thousands of people to evacuate their homes and places of business to escape these noxious fumes, and many were told not to drink their well water due to concerns about contamination. We also represent individuals who suffered injuries from smoke exposure and businesss which were closed as a result of the toxic chemical fire and are accepting additional clients for case evaluation. For more information please contact us at (828) 622-0044. (UPDATED JUNE 8, 2015) On December 21, 2012, the Court entered final approval of the Settlement between a large class of Plaintiffs and BP, which includes a claims process for economic and property damages, as well as medical damages. We represent hundreds of clients who have filed for compensation under the Settlement. Davis & Whitlock and the Gulf Oil Spill Litigators have recovered millions of dollars for their clients throughout the Gulf. June 8, 2015, was the final deadline for the filing of new claims in the Settlement. We will continue to work with the Claims Administrator until the last eligible claim is paid. For more information, visit the Gulf Oil Spill Litigators website (GulfOilSpillLitigators.com), call 1-800-419-1808 or 828-622-0044. On April 20, 2010, a massive offshore oil rig known as the Deepwater Horizon, operated by oil giant BP and owned by Transocean, exploded and caught fire in the Gulf of Mexico killing 11 workers. Firefighters and the U.S. Coast Guard fought for 2 days to contain the fire, but the rig sank on April 22, creating an unstoppable leak of crude that has become the biggest oil disaster the U.S. has ever seen. The gushing leak was not stopped until September 2010 after more than 200 million gallons of oil had contaminated the Gulf, more than 7 times the oil released by the Exxon Valdez in Alaska in 1989. In addition to Louisiana’s fragile wetlands, the beautiful beaches of Alabama and the Florida Panhandle have been fouled by the toxic mess. Fishing was shut down across major portions of the Gulf, and tourism-related businesses were devastated. 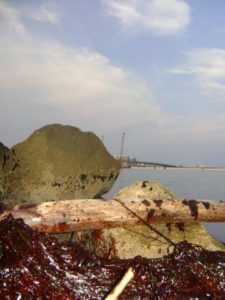 Oil crept into Mobile Bay, Perdido Bay, and Pensacola Bay, and massive oil slicks were found floating in the middle of the Gulf carried by winds and currents. Litigation against BP, Transocean, and other defendants was consolidated in the U.S. District Court for the Eastern District of Louisiana in New Orleans. Over the last five years, Davis & Whitlock, along with other firms involved with the Plaintiffs’ Steering Committee, has been working on holding BP accountable. We have partnered with law firms in Alabama and Florida to bring claims on behalf of impacted businesses and property owners forming Gulf Oil Spill Litigators, LLC (GulfOilSpillLitigators.com). TVA Coal Ash Disaster – Landmark Settlement! In a settlement announced on August 1, 2014, TVA, the nation’s largest utility, has agreed to pay $27.8 million to settle claims from over 800 Tennessee property owners who suffered damages from a huge, 2008 spill of toxin-laden coal ash sludge that drew national attention to the proper storage and disposal of toxic coal ash at coal-fired power plants. This landmark settlement brings resolution to over five years of intesive litigation by Davis & Whitlock and other firms on behalf of affected Tennessee property owners against TVA. 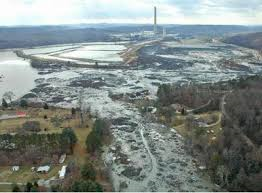 On December 22, 2008, TVA’s Kingston Fossil Plant suddenly released over 1 billion gallons of toxic coal ash sludge from a failed coal ash impoundment into the Emory River creating a sludge tsunami that destroyed waterfront homes and affected properties miles away. Over five years later, despite a massive cleanup effort, coal ash still remains in parts of the Emory River, Clinch River, and Watts Bar Lake. Davis & Whitlock filed suit on behalf of property owners and others impacted by the TVA Coal Ash Disaster on January 9, 2009, together with the Beasley Allen firm from Montgomery, Alabama. After two years of TVA motions attempting to avoid liability, Davis & Whitlock and five other firms (Friedman Dazzio, Beasley Allen, Villari Brandes, Lieff Cabraser, and Weitz & Luxenberg) tried the issue of TVA’s negligence for nearly a month before Judge Thomas Varlan in the U.S. District Court for the Eastern District of Tennessee at Knoxville. Jeff Friedman and Gary Davis were the lead plaintiffs’ attorneys in the trial. On August 23, 2012, Judge Varlan issued a 130-page opinion finding TVA negligent in its handling of coal ash at the Kingston Fossil Plant going all the way back to its construction of the original coal ash dike in the 1950’s. To attempt to avoid the necessity of over 800 damages trials, the Judge granted plaintiffs’ motion to order mediation. Mediation of the complex, multiparty case, with plaintiffs’ impacted properties ranging from ground zero to several miles downstream, took nearly one and a half years. Although insisting before mediation that plaintiffs were not entitled to any damages, TVA finally agreed to an aggregate settlement of $27.8 million, in which almost 100% of the plaintiffs participated. Although it took a long time, the Settlement will avoid even lengthier and expensive trials and inevitable appeals by TVA. The precedent setting negligence judgment and $27.8 million Settlement will serve as a permanent reminder that coal ash must be disposed of with much greater care than utilities have exercised in the past.